You'll be £19.99 closer to your next £10.00 credit when you purchase Winged Scalpel. What's this? In this fast paced narrative, ex-SAS surgeon Richard Villar provides 'a very personal insight into the difficulties, dangers and occasional virtual impossibility of providing medical aid to disaster areas and war zones. He shares his remarkable experiences in the aftermath of three major earthquakes – Kashmir (2005), Java (2006) and Haiti (2010) – as well as in the Libyan civil war (2011). Readers are given a no-holds-barred introduction to a world which the vast majority will have only scant knowledge of. The author describes what happens on the ground before a full aid programme swings into action. Arriving in a stricken area with the infrastructure destroyed, his small dedicated team can take nothing for granted; water, power, shelter and the rule of law are likely to be non-existent and disease and shortages of food and water ever present. They meet challenges that the rest of us can only imagine and are under intense pressure to help, comfort and sustain overwhelming numbers of trauma struck men, women and children whose worlds have been turned upside down. 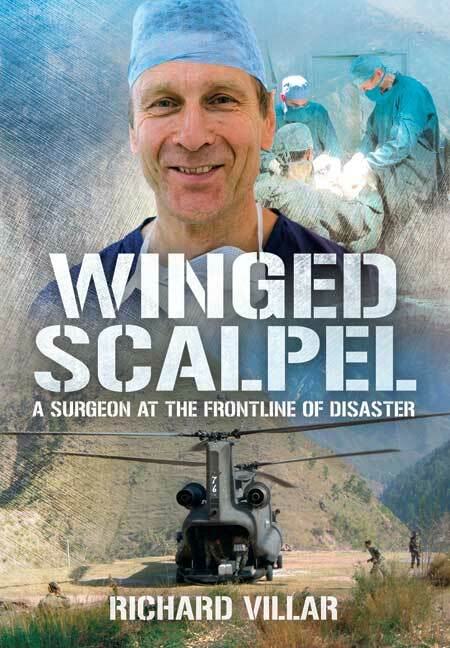 Winged Scalpel is not only a riveting read but highly instructional and informative. From his own point of view, the author's experiences prove that 'you can take a man out of the SAS, but you cannot take the SAS out of the man'. It's a gripping account of performing amputations on tennis courts, trying to save children from ruined buildings, overcoming death threats, and treating desperately sick patients with little or no equipment. Ex-SAS surgeon Richard Villar has worked with Merlin for several years, responding to some of the worst disasters the world has seen. Now he's written a book vividly describing his experiences to “the brave men and women of Merlin”. Richard Villar is a world renowned orthopaedic surgeon. He served with the SAS before moving to his current career. He lives in Essex but operates in London, nationally and internationally.